Pale ruby color; cherry, strawberry, eucalyptus, spice on the nose; strawberry, cherry, cranberry, licorice, vanilla, cola, brown sugar on the palate. Dry; nice acidity harmoniously balances dusty tannins; fruit-forward with plum and cinnamon emerging on rewarding finish. Silky smooth easy drinker. 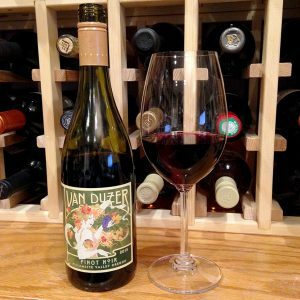 Most of the grapes (100% pinot noir) come from Van Duzer estate vineyard in the Willamette Valley; 3% from Kalita Vineyard, Yamhill-Carlton AVA, 1% Saffron Fields Vineyards, Yamhill-Carlton AVA, thus Van Duzer has dropped the word “Estate” from label of this effort. Van Duzer makes a number of parcel-specific bottlings, too. 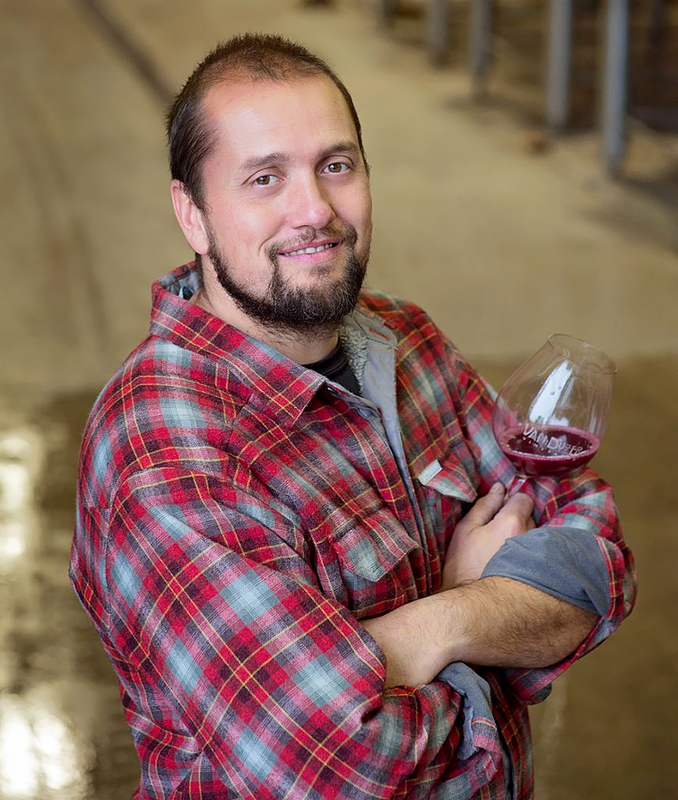 Burgundy-born Florent “Flo” Merlier is the winemaker. Van Duzer Winery and Vineyards is named for its scenic location in the Van Duzer corridor, a deep gap in the Oregon Coastal Range that draws cool, steady winds from the Pacific Ocean. The cooling gusts moderate temperatures over the entire 82-acres of vines, facilitating a long growing season and appropriate cool temperatures to promote peak pinot performance. The Van Duzer label features a Zephyr, the gentle west wind of Greek mythology. Established in 1987, the winery was run-down when Carl and Marilynn Thoma acquired the property in 1998, intrigued by the potential of the winery perched atop a knoll surrounded by vines on three sides. The site is situated in the gateway of the Van Duzer Corridor, a deep gap in the Oregon Coastal Range that draws brisk air from the Pacific Ocean into the Willamette Valley. 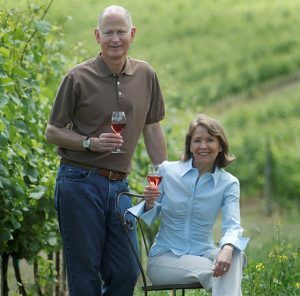 The couple first acquired their taste for wine while working on MBA degrees at Stanford University. 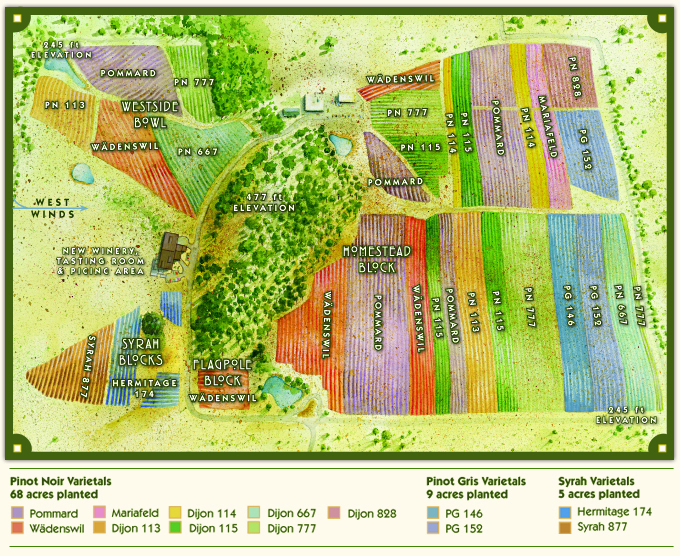 They hired Jim Kakacek to replant and upgrade the property, resulting in quality production three years later. 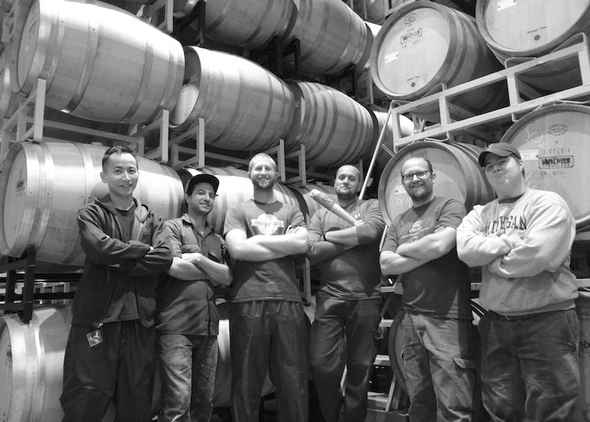 A new winery was finished in time for the 2006 harvest. Jerry Murray, a winemaker with experience in Oregon, New Zealand, and Germany, replaced Kakacek in 2010. Flo Merlier became the winemaker in 2011. Flo earned a degree in physics and chemistry, but he and his wife Krista could not resist the call of the vine and wine. Flo earned his Diploma of Viticulture from the University of Dijon before relocating to Oregon in 2009 and joining Van Duzer two years later. In addition to the modern winery and tasting room, Van Duzer offers great views of the Baskett Slough Wildlife Refuge. 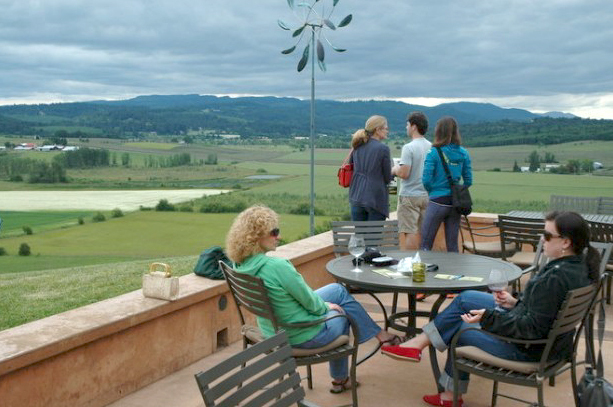 The winery-vineyard is somewhat off the main Willamette Valley winery trail, but well worth finding.